1 Sep 2013 Late on Sunday, Egypt’s prosecutor-general ordered the referral of cases against deposed president Mohamed Morsi and 14 other defendants to criminal court, concerning their alleged responsibility for clashes that took place last December in front of Al-Itihidaya presidential palace in Cairo. At least ten were killed in clashes between supporters and opponents of Morsi last december after he issued a controversial constitutional decree, which was criticised by the opposition for being undemocratic and giving the former president unprecedented powers. The fourteen defendants include Muslim Brotherhood leaders Essam El-Erian and Mohamed El-Beltagy; Islamist preacher Sheikh Wagdy Ghoneim; head of Morsi’s presidential bureau Ahmed Abdel-Ati; deputy-head of the presidential office Asaad Sheikha; former presidential advisor Ayman Abdel-Raouf; in addition to Islamist youth Ahmed El-Mogheir and Abdel-Rahman Ezz. According to investigators, Morsi and his presidential staff have been accused of ordering their supporters to attack peaceful protesters who assembled outside the palace to denounce the former president’s decree. The move reportedly came after the republican guards and ministry of interior refused to obey orders to attack protesters. Morsi has been accused of inciting his supporters and aides to kill and use violence against peaceful protesters. Ghoneim, El-Erian and El-Beltagy have been accused of inciting violence against protesters via media outlets. A date for the immediate trial of the defendants will be announced shortly. 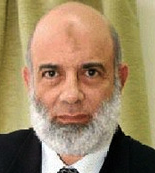 On 26 July, a Top Egyptian court ordered the detenion of the deposed president, who has been held incommunicado since his ouster on 3 July, for 15 days pending investigations into into his suspected collaboration with Palestinian Islamist group Hamas. Morsi was slapped with another 15-day detention on 19 August pending investigations into charges of involvement in the December 2012 violent attacks at Itihadiya.